Teleos Outpatient Surgery Center has been accredited by the American Association for Accreditation of Ambulatory Surgical Facilities (AAAASF). This is the gold standard for ambulatory surgery center credentialing. AAAASF accreditation indicates a commitment to the highest standards for outpatient surgery. Teleos Outpatient Surgery Center is also just a few blocks away from Huntington Hospital for safety and peace of mind. Dr. Max Lehfeldt has curated an experienced team of medical professionals who are focused on your every need, expectation, and safety. All members of the surgical team are dedicated to outstanding patient care and customer service. Safety and the highest quality of treatment are important components of each and every procedure, and every member of the team works diligently to achieve this every day. If general anesthesia is required, your case will be staffed by hand-picked physician anesthesiologists from Huntington Hospital who work closely with Dr. Lehfeldt daily. This ensures a smooth, safe, and seamless process for everyone and provides the best patient outcomes. 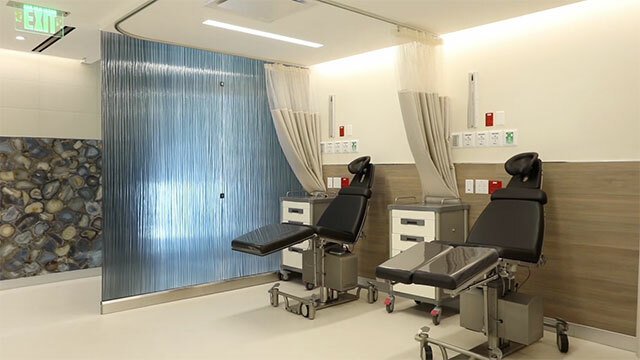 Keep in mind that Dr. Lehfeldt is just down the hall as you recover in our beautiful recovery room; your board-certified plastic surgeon is on-site throughout your entire process. Nothing can compete with an experienced team working together in a beautiful, state-of-the-art surgical suite. There is no comparison to what we have to offer! We look forward to taking care of you!